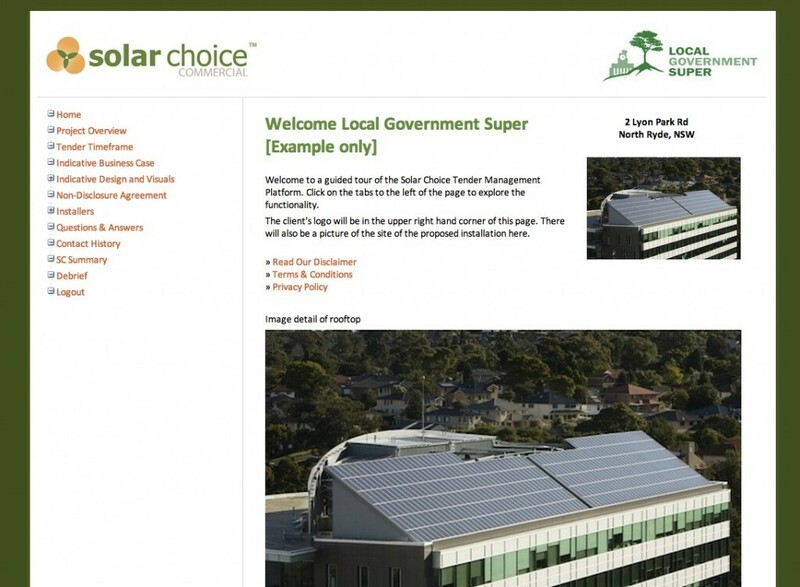 In order to streamline handling of the growing number of commercial enquiries, Solar Choice Commercial has developed a unique, interactive, web-based Tender Management Platform for its large-scale and commercial solar power clients. 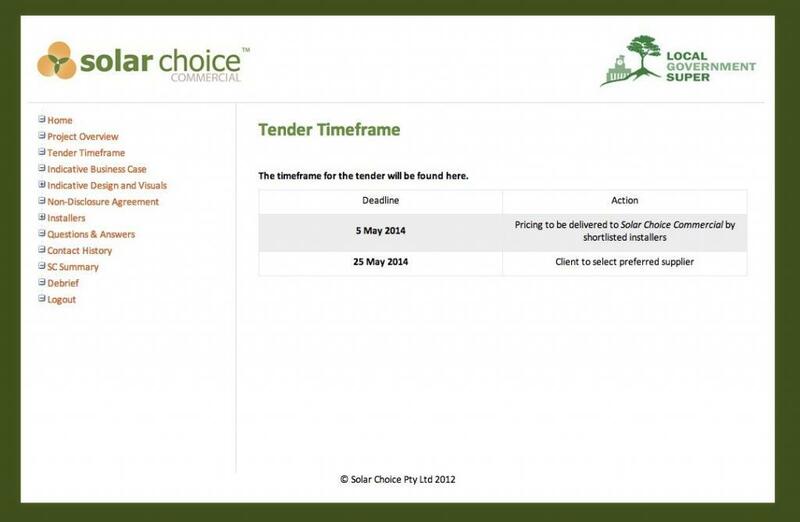 The Tender Management Platform will act as a repository for all information and documents associated with a particular project, and will be accessible via separate logins for Solar Choice, selected installers, and the clients themselves. Anyone interested in seeing how it works can access a sample client profile via the log-in details below. The Tender Management Platform will display the following information for clients. Note that those who access the Platform with an installer log-in will have access to general project information but will not be able to view details about other installers involved in the project. Tender Management Platform ‘Welcome page’ screenshot (Click to enlarge). Tender Management Platform Timeframe page screenshot (Click to enlarge).